Have you ever faced a clean new coloring page and wondered where to begin? Some colorists just plunge in and let their intuition be their guide. If you're that colorist, it works just fine. Some of us feel less secure and need some guidelines. Here's a formula you can rely on when you're not sure how to begin. Keep in mind that formulas are only beginnings so let yourself bend the rules as you go. Whether you feel you need guidelines or not, it's fun to see what color can do. Proportions are approximate; don't worry about being exact. Warm colors are the colors of the sun: reds, oranges, yellows. They tend to produce moods of energy, passion, and optimism. Cool colors are the colors of water: blues, greens, purples. They tend to produce moods of calm, contemplation, and peacefulness. The smaller proportion will attract visual attention. Playing warm against cool (or cool against warm) creates visual contrast and helps all your colors come alive. For example, if you are coloring a cat on a couch, you might consider a yellow cat against a blue couch. The blue couch could be against a blue-green wall. Or a blue-gray cat against a coral couch. The coral couch could be against a peachy wall. In either case, the cat will stand out. What's amazing is that the warm-cool concept usually follows our natural color sense. Many great masters used this system, either intentionally or intuitively. Look at Shelly Durham's coloring at the top of this post for an example. And refer to the examples below. Whether following a formula or not, be true to your personal expression. That's what being an artist is about. 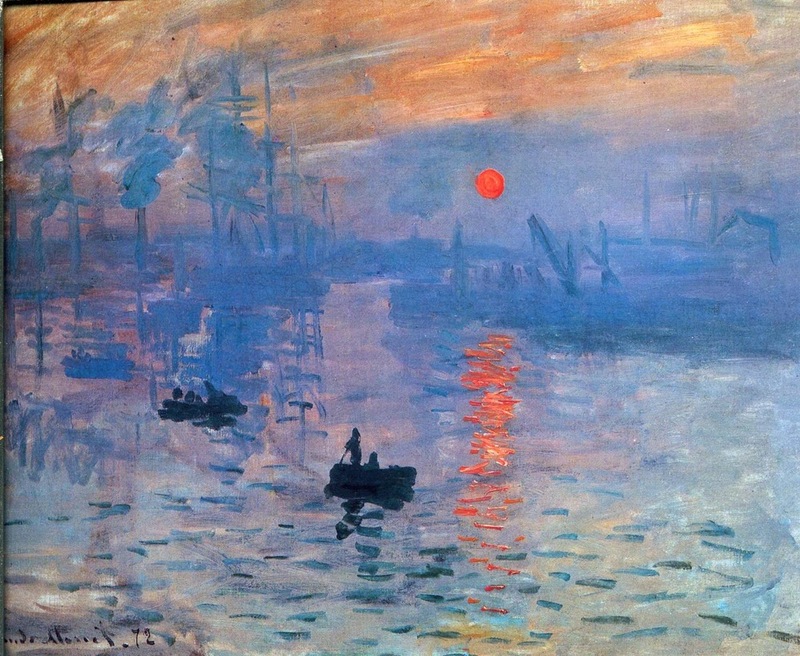 "Claude Monet – Impression, Sunrise" Your eyes are drawn to the warm orange sun and reflection becasue they are surrounded by a large amount of cool blue. "Into the Light" by Collin Bogle. This beautifully demonstrates the interaction of warm and cool colors. View his photorealistic paintings.